First up, in peak season cruises fill up quickly so make sure you secure you ticket here well in advance. On the day of your cruise park the car at the Coles Bay jetty before checking in at the office directly in front. Sky Lounge passengers have a separate check in desk (hint: It’s the one without the queue!) to speed you through the process. I would highly recommend taking the ginger seasickness prevention tablets on offer. While I have never been struck down myself, I have watched The Hubs suffer through three particularly debilitating bouts. I tell ya, if that doesn’t break your relationship nothing will! Take the tablets! Seriously! It’s just not worth it and this is no time to be a hero. Once our name was marked off we selected a drink for morning tea from a full range of beverages and select alcoholic drinks which would be delivered later on board. Of course I picked the champagne and The Hubs selected a local honey based beer. It’s 12 o’clock somewhere right? Skyline passengers board first and once settled a mandatory safety briefing is conducted before we speed away leaving a plume of wake behind us. 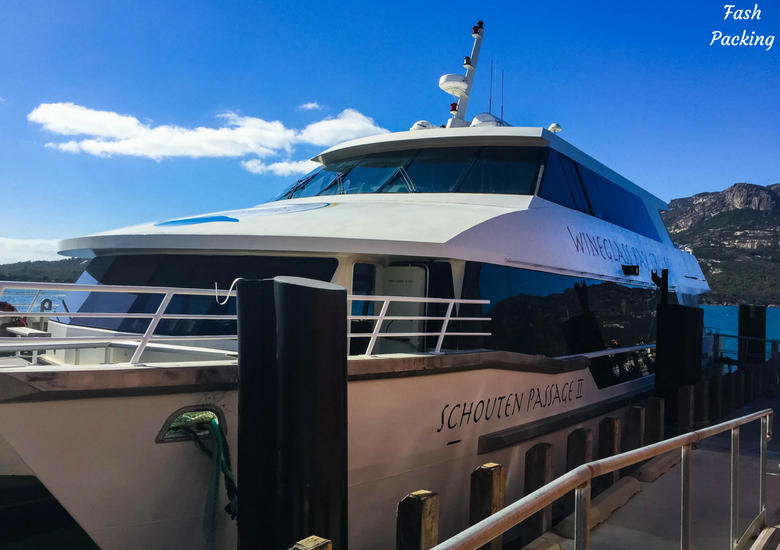 Schouten Passage II is Wineglass Bay Cruises signature vessel and you couldn’t hope for a better host. This spacious twin hulled catamaran speeds you around Tasmania’s rugged coastline is style. She can take a maximum of 150 passangers across her two levels and there are restrooms and bars on both. Tasmania’s weather is unpredictable but air conditioning will keep you the perfect temperature year round. Any one of the three outdoor viewing areas will put you at one with the elements in no time. 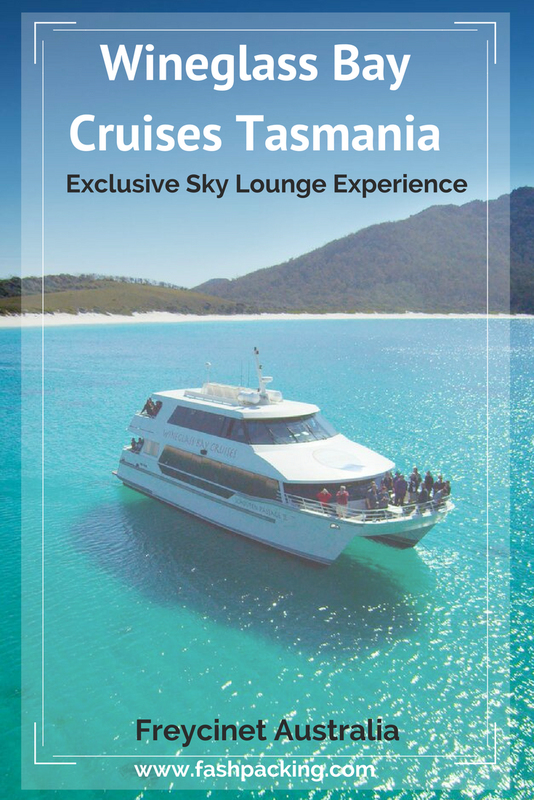 Wineglass Bay Cruises Sky Lounge passengers are in for a special treat. The Sky Lounge can entertain a maximum of 28 passengers and we were almost full with 26 the day we cruised. Plush seating lines both sides and there are centre lounges which are perfect for bigger groups. There is not a bad seat in the house and panoramic windows allow for excellent 360 degree views which ever way you swivel your head. It was a chilly day in January when we cruised and even though the mercury did not rise above 16°c it was snug and warm inside. Tim, our host in the Sky Lounge was as entertaining as he was knowledgeable. It is clear passenger safety is a seriously matter on board Schouten II and Tim had his hands full caring for a number of guests suffering sea sickness. Remember I said to take the ginger tablets? Just Do It! 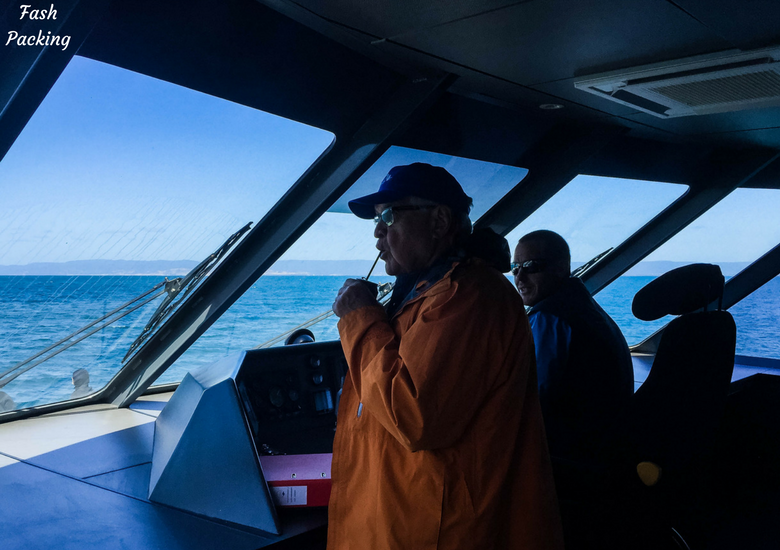 Once we were underway, Paul, our captain, invited all Sky Lounge passengers to visit the bridge and we had unlimited access for the duration of the 4 hour cruise. Did I mention you can indulge in unlimited drinks from the dedicated bar? Including beer and wine? 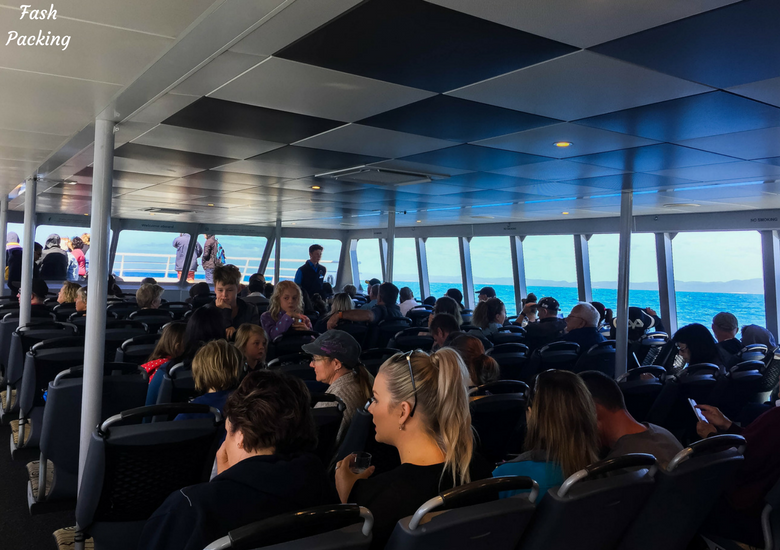 If you miss out on the limited tickets to the exclusive Sky Lounge, never fear as Wineglass Bay Cruises Vista Lounge on the lower deck should be able to squeeze you in. The open plan saloon has its own kiosk and is a great option for families. Front and back viewing decks mean everyone still gets an amazing view of the panorama. Every time you turn your head on the Shouten II there is a new Kodak moment waiting to be discovered. 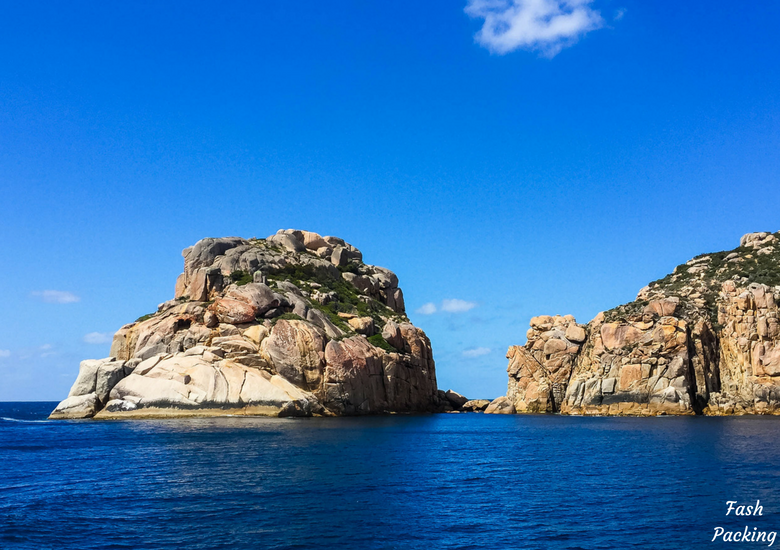 Of course Wineglass bay is the highlight on Wineglass Bay Cruises but don’t forget to look up every now and then as you are motoring along as you will be delighted with sheer cliff faces, craggy island outcrops and orange hued boulders as far as the eye can see. Make sure you leave the confines of the comfy Sky Lounge for a spell to enjoy the views from the spacious decks. Nature lovers should keep their eyes trained keenly on their surrounds. 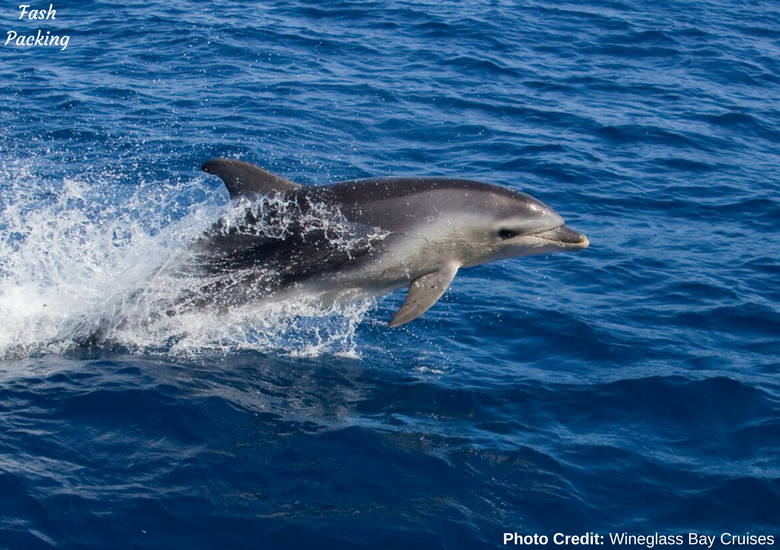 Tasmania’s biologically diverse marine environment hosts sea birds, seals, dolphins and seasonally migrating whales. For a good portion of our trip an adventurous pod of dolphins followed along and delighted in skipping through the ships wake. 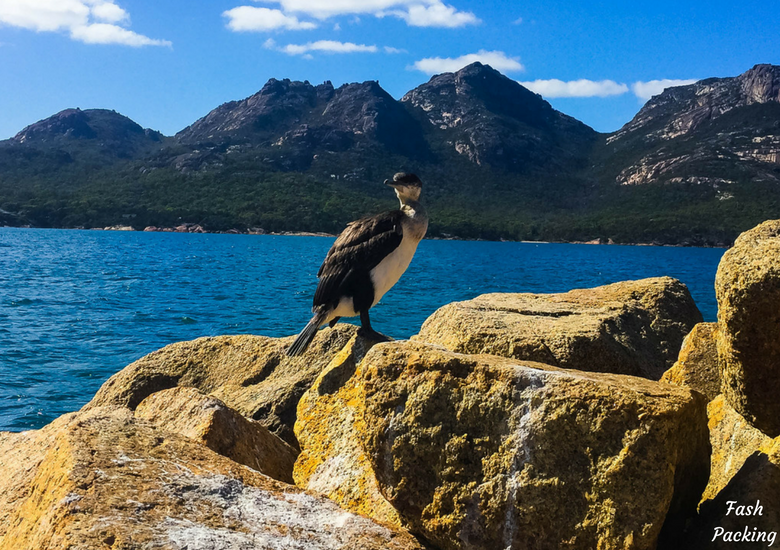 The crew on Wineglass Bay Cruises are always on the lookout for a rare sighting and will alert you so you don’t miss a thing. You definitely won’t leave your cruise hungry. 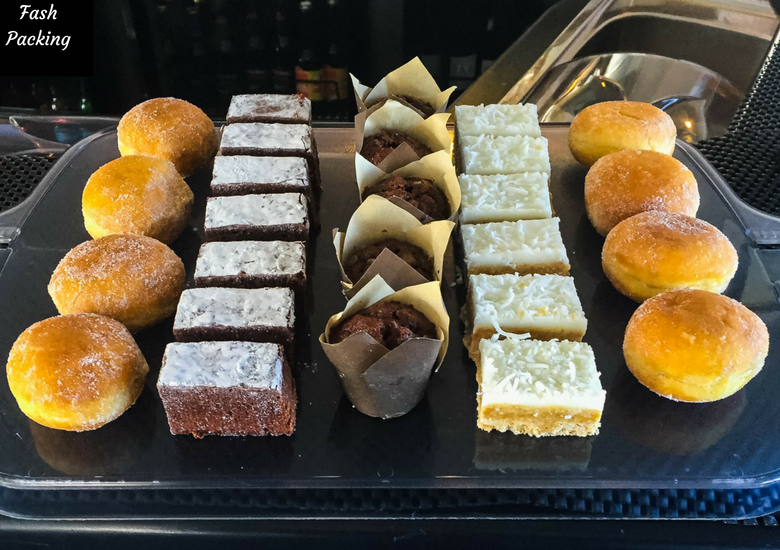 Almost immediately on boarding Sky Lounge passengers enjoy a morning tea of freshly baked goodies, including my personal favorite; chocolate brownies. 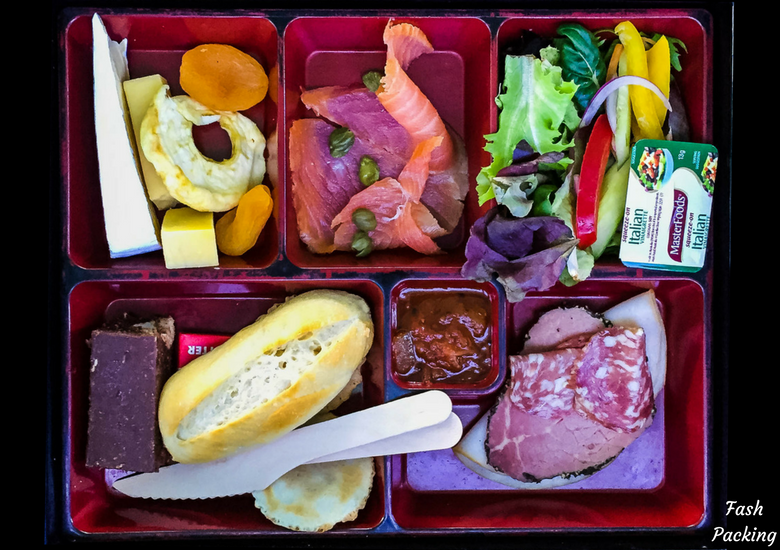 Your lunch of a ploughmans bento box made with all local ingredients is served with a view at anchor in Wineglass Bay (weather permitting). Wineglass Bay Cruises are particularly accommodating to dietary requirements including my ‘no seafood’ request where they replaced the salmon with extra cold cuts. 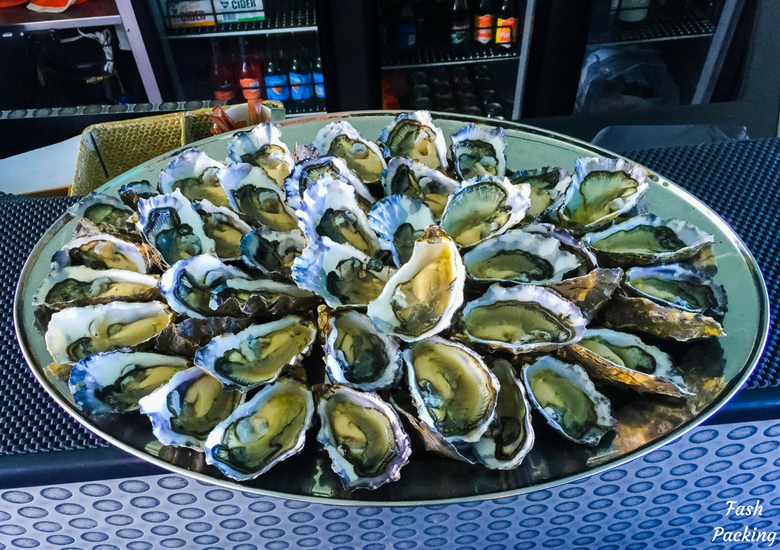 If that’s not enough, heaving platters of natural Tasmanian oysters magically appear on the journey back to Coles Bay. I just couldn’t bring myself to try one, but my fellow guests assure me these are some of the best they have ever eaten. 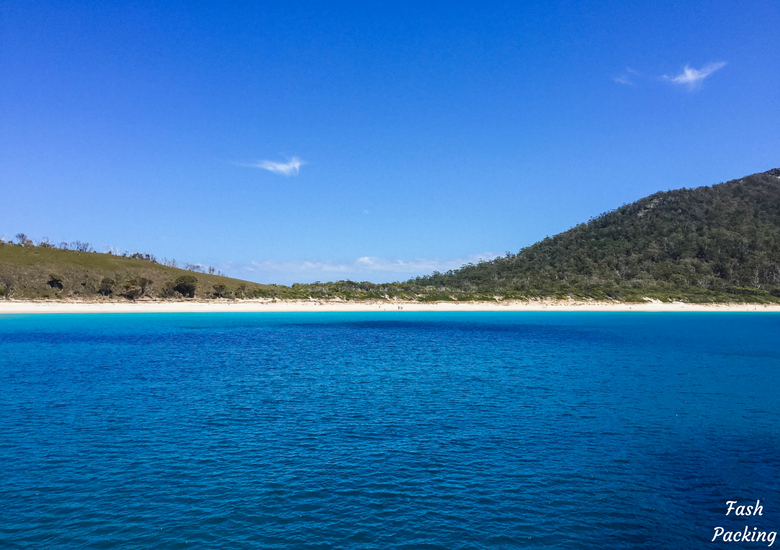 While a trip on Wineglass Bay Cruises doesn’t allow you opportunity to scrunch your toes in that pristine white sand, you can of course see Wineglass Bay the hard way. Tasmania is famous for it’s hikes and you would be remiss not to try at least one. We hired a car at a rock bottom price from Airport Rentals for our 5 day Tasmanian road trip and drove ourselves to Freycinet National Park. Pay your $24 per vehicle entry fee at the gate and then fight the other walkers for a car park. It gets super busy and it took us over half and hour and countless circles of the two car parks before we gave up and drove a fair way back up the road to park on the verge. 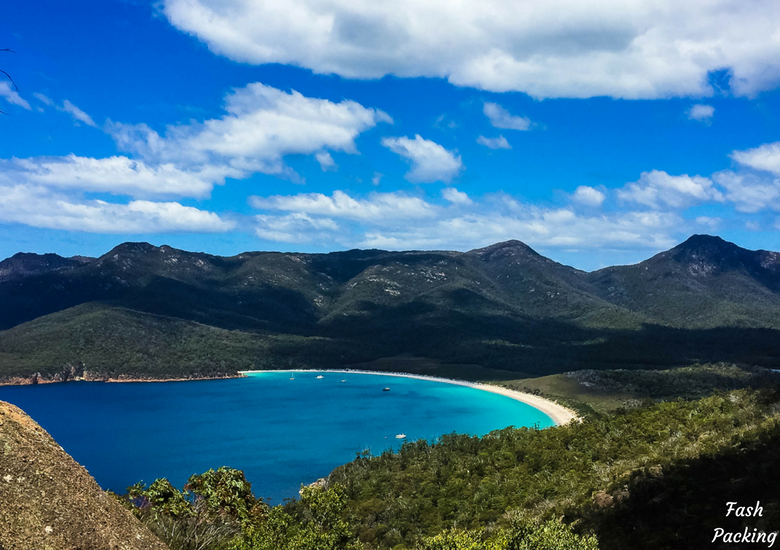 There are a number of walks available and we chose the Wineglas Bay Lookout walk for the views and part of the Wineglass Bay and Hazzards Circuit to get us up close and personal. Just before we went to Tassie, The Hubs bought me a Fitbit Alta for my birthday. It’s my new favourite thing and I wear it every day to encourage me to get off my bum and get my daily 10,000 steps. We did a shade over 30,000 steps walking around Wineglass Bay and I felt every single one of them in my calves for days afterwards. One thing to keep in mind is that while the water looks very inviting it is particularly frigid. I’m particularly adverse to the cold so that meant no swimming for us but there was one or two brave souls who took the plunge. I did slip off my walking shoes briefly for a paddle which was heaven on weary feet. 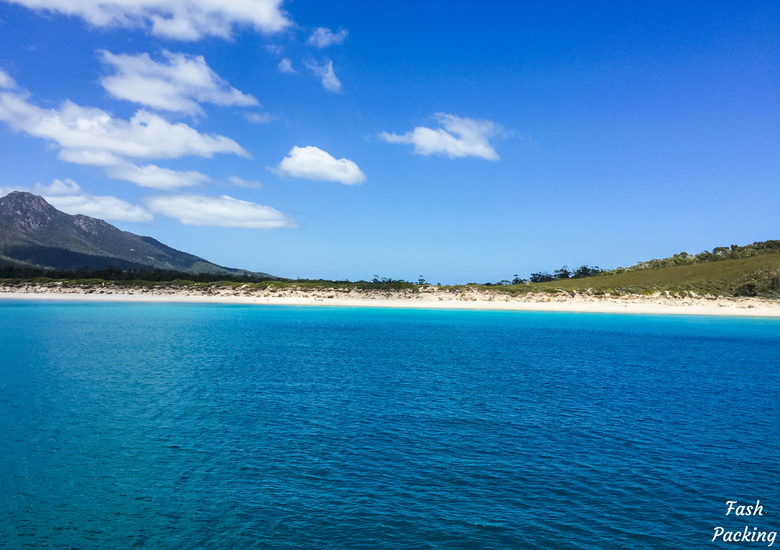 Cruising Wineglass Bay was the highlight of our visit to the Freycinet Peninsula. If you only do one thing when you are in this spectacular part of the world this has to be it! The vessel is modern, the staff are wonderful, the scenery is spectacular and the food is divine. What more could you possibly want? If you are heading to Tasmania soon make sure you check out my guide to grabbing a bargain flight. You hip pocket will thank me for it! 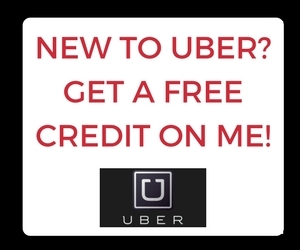 We scored free return trips when we flew down on Jetstar domestic and only paid $110 for two return airfares from Sydney using these techniques. 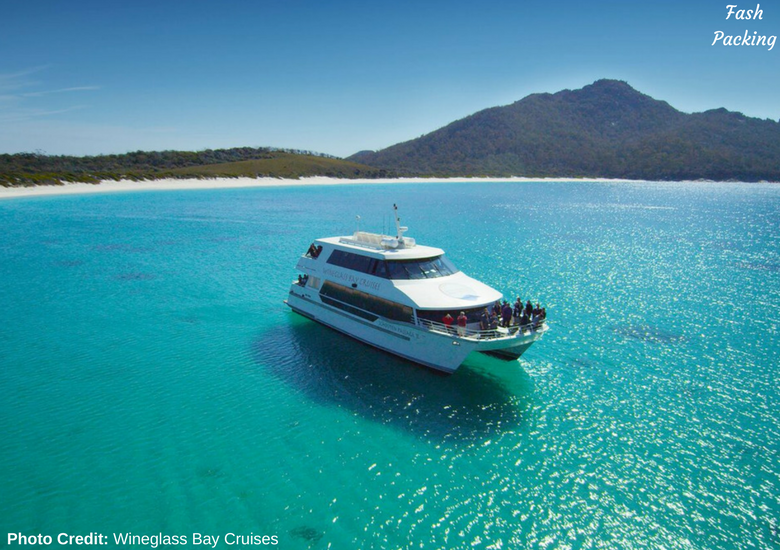 Will you be adding a trip on Wineglass Bay Cruises when you are next in Tasmania? 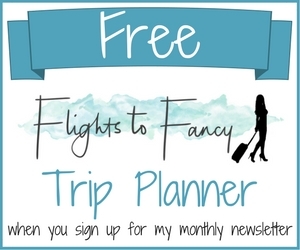 I would love to hear what’s on your itinerary in the comments below. 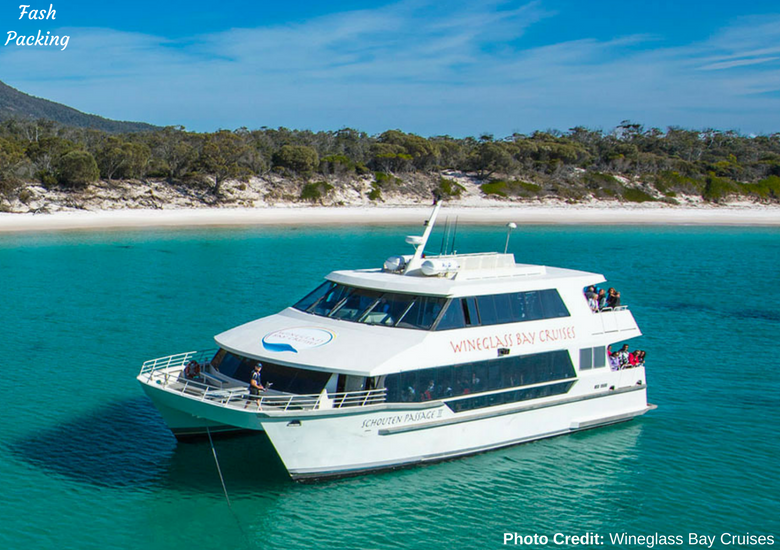 Disclaimer: Wineglass Bay Cruises graciously hosted us during our visit to Tasmania. As always, all opinions are my own. I would totally love to do this! It looks unreal! Sadly I haven’t yet made it to Tassie yet either! Your pictures are insanely beautiful, the Skye Lounge experience looks amazing and the Tassie wildlife is just incredible. I think I need to book a trip! 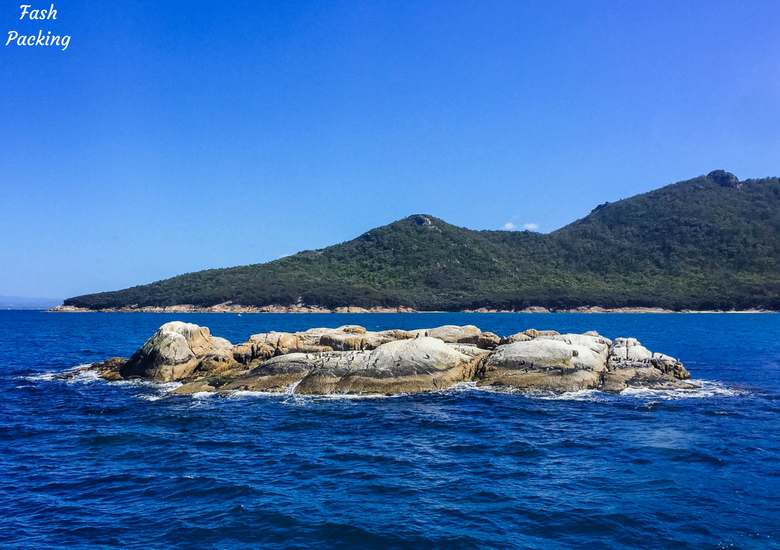 I can see why Wineglass Bay Cruises is so popular! True to its name it also has wine available. 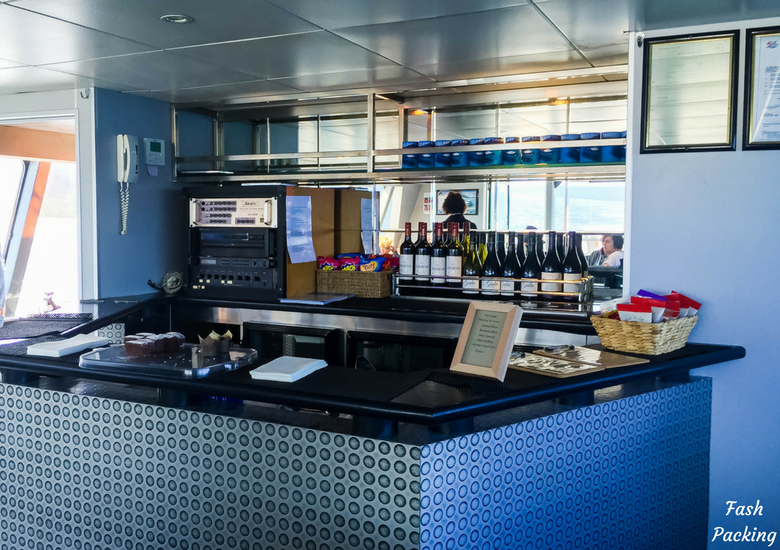 The food looked amazing and there’s nothing like fresh seafood while you’re out at sea. 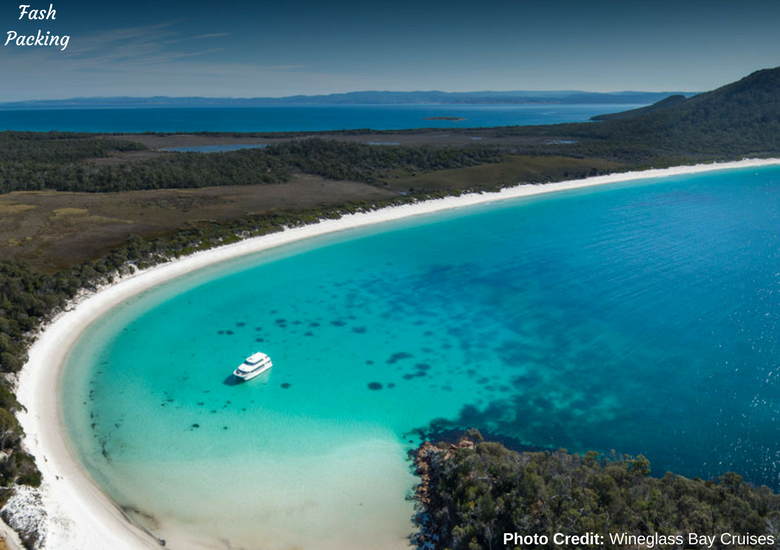 Wineglass Bay looks absolutely stunning and taking a cruise would be a great way to see it. It would be necessary to buy tickets to the Sky Lounge for the unlimited wine and beer. And I love that they cater to dietary needs. 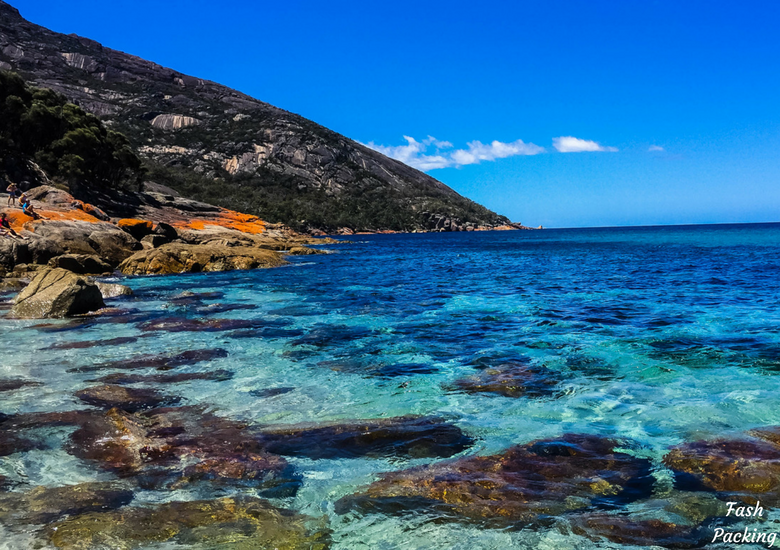 I think it would be worth it to drive to Wineglass Bay as well to walk around and maybe dip in those frigid beautiful waters. Thanks for sharing! It is a truly beautiful part of the world Riely. 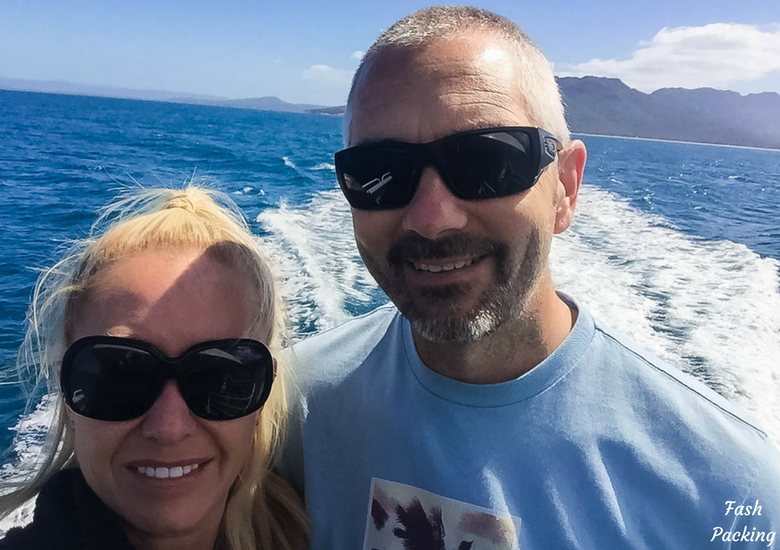 We loved Freycinet ? I visited Tasmania late last year but never made it out of Hobart – certainly a mistake and somewhere I am going to have to go back to. The food, scenery and bubbly look epic on this cruise, great sized boat too. I loved Hobart much more than I expected to Sarah. I’ve dreamed of going to Freycinet for a long time so I was so pleased to have finally made it. Truly stunning coastline. Beautiful photos of your trip! Just told my hubs that we need to get to Australia someday!! Thank you so much Marvi. It’s easy to take great photos with such a stunning vista to work with! Ah yes please! I’ll be adding this cruise to my trip. Your photos of the bay are so beautiful. Such deep colours. Do you think I need to start looking at booking my cruise now for May? It was stunning Jean. Photo’s do not do it justice! We arranged out cruise about a month in advance Jean to be sure as I knew I didn’t want to miss out. May will be quieter so you could probably leave it a little longer. What a beautiful way to spend an afternoon! I would have never guessed that gorgeous water is freezing cold, though, it looks so tropical! It truly was Leigh. I know right! It was such a shock to the system when I dipped my toes in. And this was in the height of summer! This cruise looks amazing. I would love to see all that unique wolildlife and that delicious food. Looks soo good. Thank you sharing. The coast is amazing! It truly is spectacular Kelly and well worth a visit! This looks fantastic and not at all what I would have thought Tasmania looked like. Well, looks like one more place I’ll have to add to my bucket list! 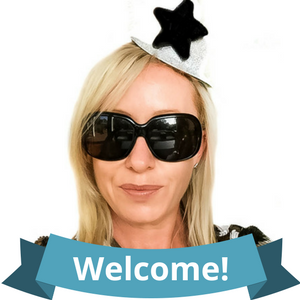 Tasmania is quite diverse and has something for everyone. I hope you make it soon and love it as much as we did. 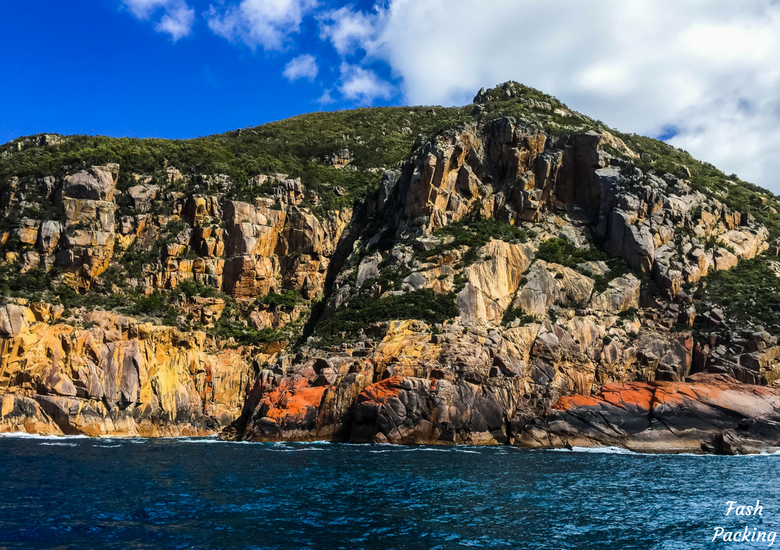 This is a part of Tassie we are yet to explore & this cruise will definately be on our list. That is some top notch lunch for a tour too ! So glad to hear it Sandra. You’ll have to let me know how you find it. Omg the aquamarine waters are gorgeous! I haven’t been to this part of Australia, but a cruise sounds like a fine, dandy idea. Did you really see all that marine life during your trip? We saw plenty of Dolphins and sea birds ISabel. Sadly we cruised at the wrong time of year to see the whales as that would have been an absolute treat. If you are keen on whale watching make sure you book accordingly so you don’t miss out! No it wasn’t too bumpy at all BonBon. I’m so sorry to hear that you friend didn’t have a great experiment as we thoroughly enjoyed out day. Tasmania, especially Wineglass Bay is gorgeous. Unlimited drinks in the Sky Lounge bar? I’m in! 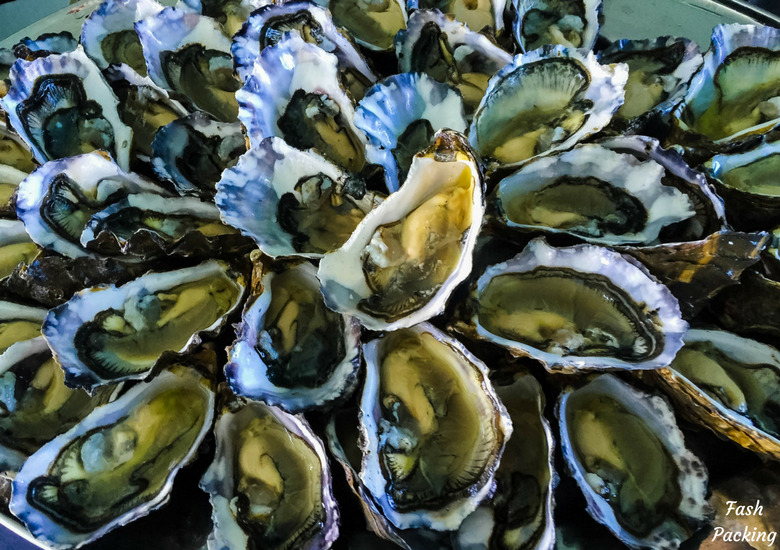 The food looks delicious, especially those oysters. 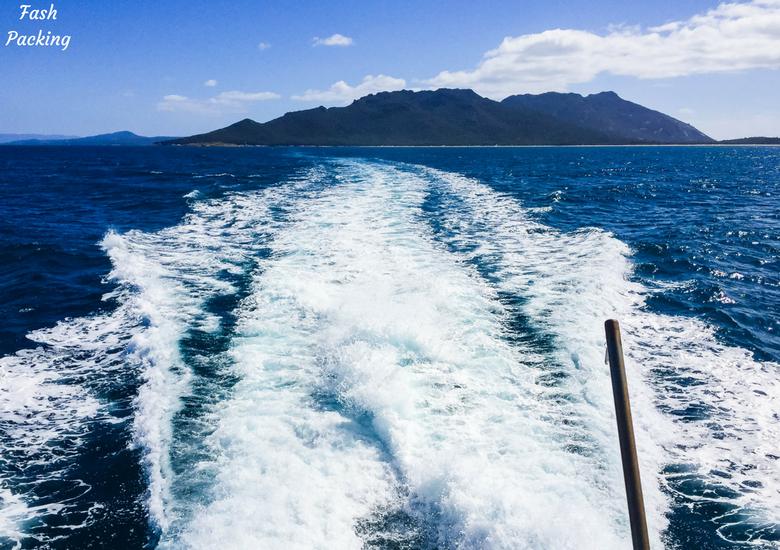 Taking a cruise sounds like a great way to spend the day. I have to admit Debra that was a big draw card for choosing the Sky Lounge lol. It was a lovely day and the weather was perfect if just a little chilly. The place is simply so serene. The color of the water is lovely. The food on the cruise looks awesome. And other facilities are also present. Just one thing I am not sure about, if you are sitting in the middle of the cruise seats , will the view still be as awesome and un obstructed? As they are only limited guests in the Sky Lounge Neha you still have wonderful views from the middle. Of course you are free to get up and walk around the ship including the bridge and outdoor areas to make sure you get a prime position. Tassie is gorgeous isn’t it? I must say I never even considered cruising the bay until I read this. I usually just do the Freycinet hike and go all the way down for a swim. You’ve definitely opened my eyes! It truly is Serena! You so need to try the cruise next time you are in the area for a different perspective. You are a braver woman than I swimming in those chilly waters! Exactly Lieselot! You can’t scare me with wine and Wineglass Bay Cruises are very generous with their open bar service. What an amazing trip! I can’t get over the color of the water and that beautiful photo you got of the dolphin. Absolutely beautiful. Natalie the water was so amazing and crystal clear. I can’t take credit for the Dolphin photo and as that one was from Wineglass Bay Cruises. Try as I might I just could catch them in a decent shot. I do have lots of out takes that are mostly just splashes lol. I feel like I’m the same way sometimes – it takes me forever to explore somewhere close to home, but I’ll travel half way across the world to visit a new place. Looks like it was worth the trip! Exactly Kelly! We are so interested in going the distance when we can find wonderful places much closer to home. Australia is just so huge it would take years o explore it all! Wow the entire bay looks so beautiful and I really love your photos! I haven’t heard a lot about Tassie but I think it’s gorgeous! You are right – Tasmania does not nearly get as much exposure as other states in the Oz. But the view of the tour was so beautiful. The pristine white coastline is so tempting! I would definitely give this experience a try especially since the food photos seem so promising. The sand has to be seen to be believed. Some of the whitest in the world topped with the clearest water. When the boat is anchored in Wineglass Bay you can clearly see the bottom. Tasmania deserves much more love! Hubby knows how much I want to head to Tassie! I think I will need to go on this cruise when we eventually get there as it certainly impresses me with the accommodating of dietary requirements! Of course you would get champagne! So would I. I hope should we get the chance that dolphins would follow in the wake as they are one of my favourite animals! Plus, those sweets look darn good! I’m ashamed to admit that my first thought about Tasmania is the “Tasmanian Devil” cartoon. It’s hard to shake the first impressions you get as a kid. But WOW the place is stunning And this cruise is perfect for us. We definitely want to see Tasmania next time were down under. I loved that cartoon as a kid and my dog is actually named after him (Taz). What can I say my kids named him lol. 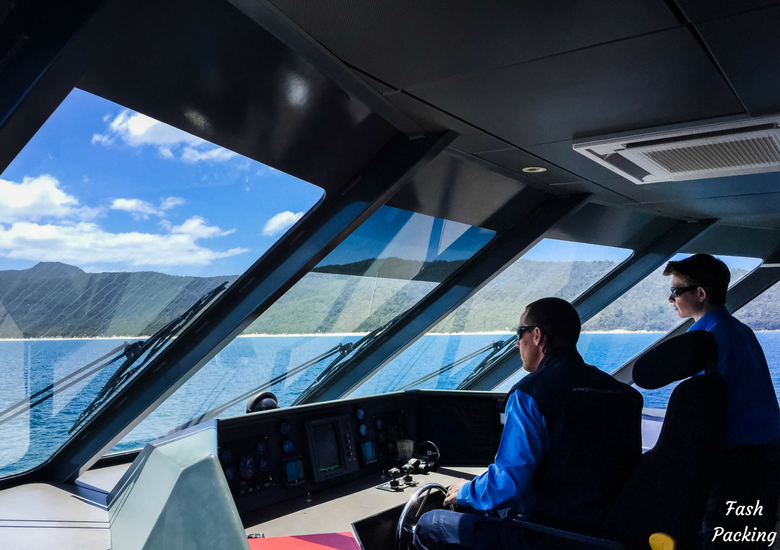 I hope you make it to Tasmania as it it truly a unique destination and Wineglass Bay Cruises are the perfect host to see it in style. This is such a fantastic way to tour Tasmania! Topping it up with food and drinks at the Sky Lounge makes it even more incredible! You’re so lucky to have spotted dolphin and sea birds!! I have never been on a cruise. Seeing the beautiful photographs that you have posted and of course your detailed description about the Skylounge inspires me to book a cruise right away. Spotting dolphins and whales would give me such a high! Can’t wait to visit Australia. Lovely post. I hope you make it down under soon FS. I’m not at all biased (much! lol) but there is lots to love and spotting dolphins and whales is possible in many places in Australia. Wineglass Bay looks beautiful from the cruise and the outlook. The water is such an incredible colour, I could stare at it for days! Good tip about booking early for the cruise too – I’d hate to get there and miss out! Wineglass Bay is stunning and has some of the whitest sand I have seen. I’m just sorry I waited so long to get down there!